perfectly organized bike tours Trust in Rückenwind your next cycling trip! Get on your bike and join. We cycle through Germany or whole Europe. We offer guided bicycle tours and self guided cycle holidays. Which kind of bike tours do you prefer? A cycle trip along the popular rivers Danube or Elbe? Or do you prefer a tour which is based in one hotel and you start your daily tours into the region from the same starting point. Passau - Vienna - Budapest - Passau Along the blue Danube. By bike and boat along the river Danube – a really special experience, because your “swimming hotel” is accompanying you at all times! The impressing Danube loop, the fascinating landscape of the Wachau region with its wine terraces, fortresses and palaces, the untouched forests of national park Donauauen and the picturesque Hungarian Danube bend alternate with pulsating cities as Vienna, Bratislava and Budapest. The broad river runs like a silver thread through Budapest and divides the city into hilly Buda and flat Pest. In Esztergom the imposing dome of the basilica is greeting you already from afar. Bratislava, formerly known as Pressburg, the Slovakian capital city at the feet of the Carpathians is inviting for a large stroll through the bewitching old city. Do you want to flirt with Vienna, the city of Waltz? A firework of places of interest, small, dreamy coffee shops and comfortable wine taverns are awaiting you. The classic tour from Passau to Vienna. Explore the paths along the blue Danube River just like the Romans, the legendary Nibelungs, and even some of Europe’s powerful kings and emperors did before you. You will get to know the beauty and historical significance of this ancient military and trading route. Never far away from the cool, clear water of the Danube, you will enjoy one of Europe’s most beautiful and popular cycle routes. You can either start your trip in the baroque town of Schärding or Passau, the town of three rivers. You will cycle through various districts of Upper and Lower Austria and finally to the Danube metropolis of Vienna. 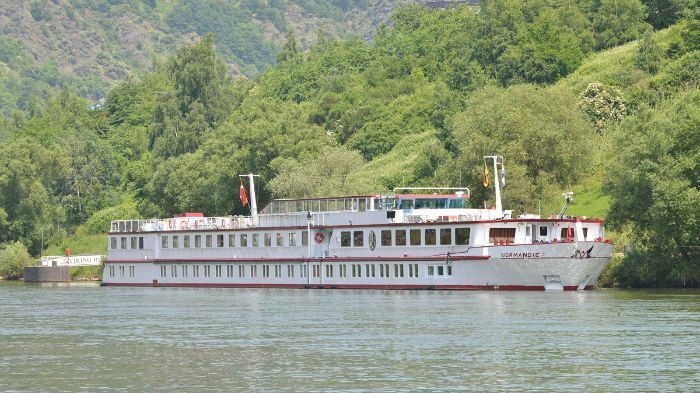 You will love the breathtaking natural beauty of the Danube valley and the Schlögen bend or perhaps you will fall in love with the landscapes along the Danube river such as the Machland, the Strudengau, or the famous Wachau. In the rural areas, to accompany these wonderful impressions, you can enjoy many traditional Austrian delicacies. Your physical wellbeing will be well catered for, from savoury dumpling specialities and moreish must all the way to the wines of the Buschenschenken taverns in the Wachau region. This cycle tour is a true classic and is ideally suited as a first cycling holiday with the whole family.